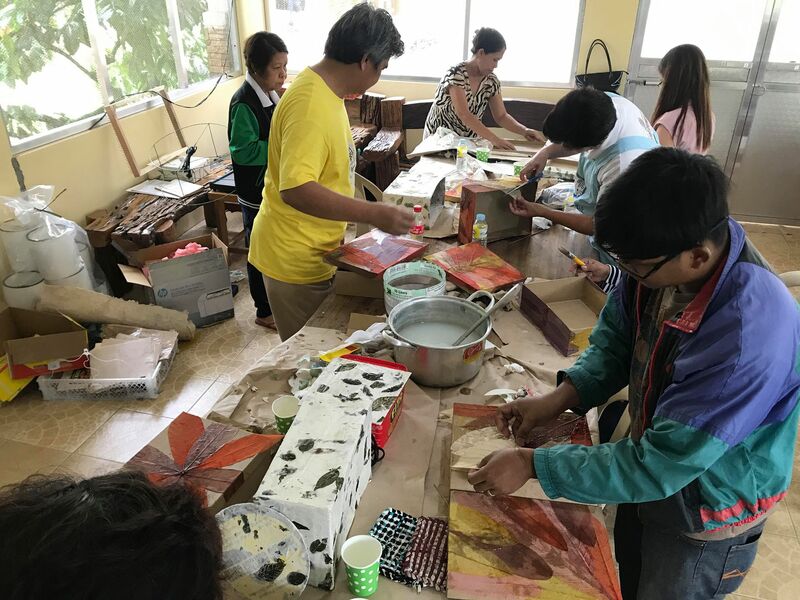 TRECE MARTIRES City, Cavite – The Cavite Cacao Industry Council attended a three-day training on actual handmade paper making and production of novelty items last August 16 – 18 at Camp Dominic, Pajo, Alfonso, Cavite. The DOST PSTC Cavite tapped the DOST-Forest Products Research and Development Institute (FPRDI) to provide the technical assistance to the participants. Nowadays, there is a good market for handmade paper since the products of handmade are eco-friendly and non-toxic. Demand for handmade paper and its products is fast growing everywhere. It is one of the preferred industries since investment is comparatively lower than any business activity. At the same time, this handmade activity has potential to generate good profits. The cacao farmers saw an opportunity through product diversification using cacao leaves or any agricultural materials available in the area. This training allowed them to learn new skills and provide additional income. Council Chairman Manuel "Jun" Lagra said that the farmers are willing to experiment with other products leading them to open new business ventures. Since handmade paper business can be established with nominal investment, through FPPRDI technology, the farmers and start-ups can learn about the process of handmade paper making and the tools necessary for the setup. According to Ms. Fe Frialde, technical expert of FPRDI, the setup of handmade paper making and its conversion is not very cost-intensive and people from any backgrounds can benefit from this training. 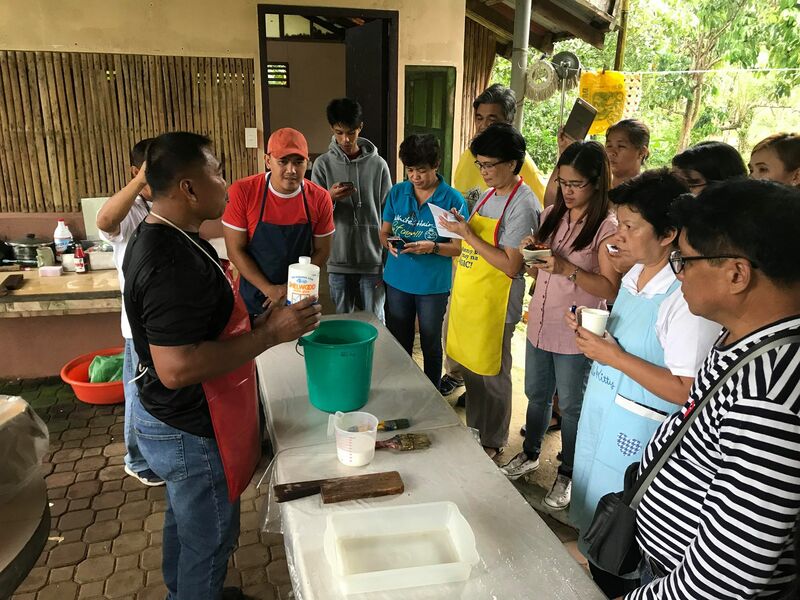 The activity equipped the participants with knowledge and skills on manual papermaking using readily available raw materials such as agricultural wastes i.e., cacao leaves, abaca, cogon grass, water hyacinth, and other cellulosic materials; and waste paper. The producers of handmade paper can move into ways of product diversification to come up with value added products such as picture frames, book covers, pencil holders, bags and others novelty items. Demand for handmade papers and other related products is increasing thus this activity helped the participating entrepreneurs to achieve success, she explained. After the training, Ms. Amelia N. Salalila of Alfonso Cacao Growers Association shared that there are many materials seems unnoticed but very useful and can be a source of livelihood for the farmers and community. On the other hand, Mr. Lagra challenged all the participants as he ended saying, "The training is highly recommendable to every farmer, to upgrade, innovate and be creative. Become an Agripreneur to sustain agriculture in the country".